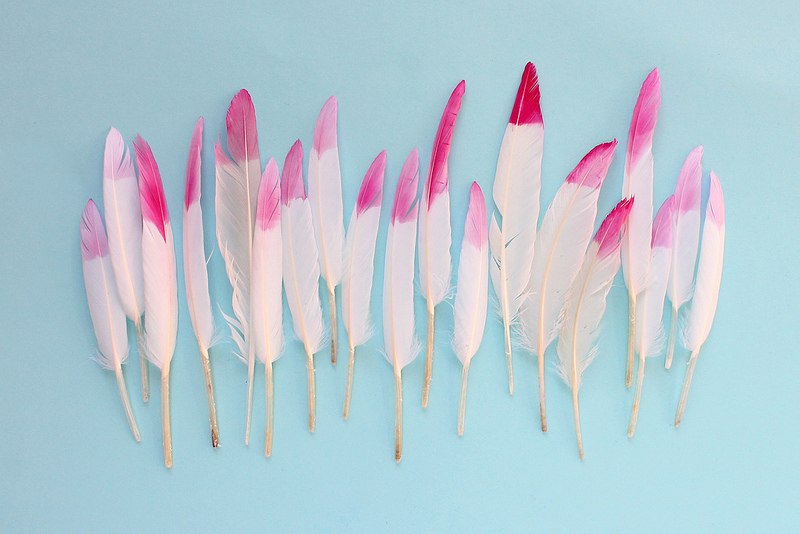 I've been wanting to have a go at dip dyed feathers for a while, and this week I finally tried some out with a bright pink dye I'd bought. I wasn't quite sure what to do with them at first. They looked pretty stood in a little pot, but I wanted to use them in something a bit more decorative and thought I'd try a wall hanging. 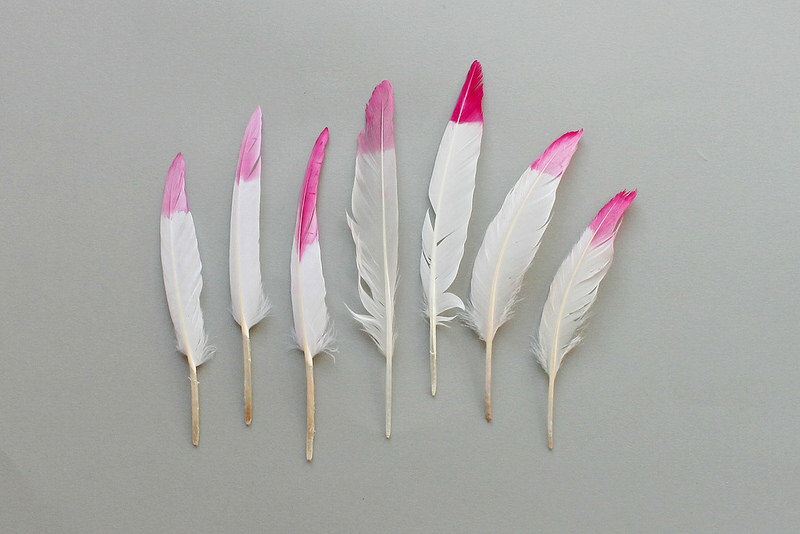 I love how it looks with just the coloured ends, and the various shades of pink where some feathers have picked up the dye better than others. First dip dye the feathers. Using a small-ish bowl, mix up a some of the fabric dye with some warm water. 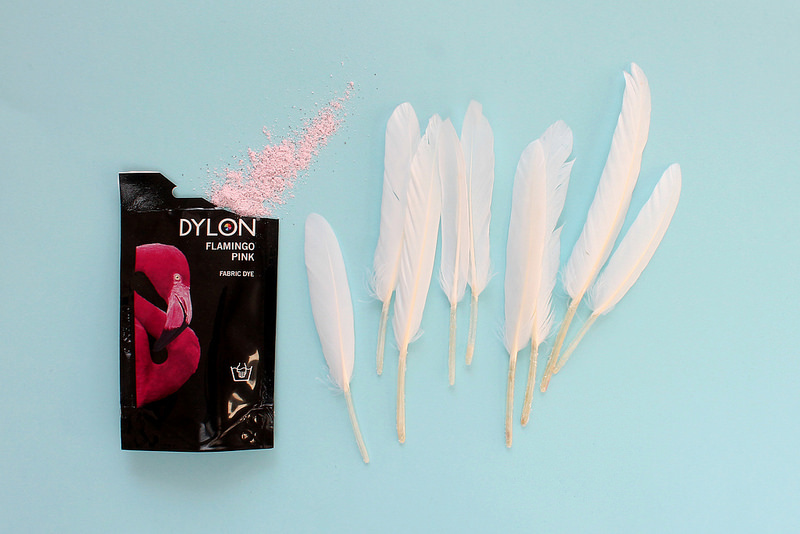 Dip the end of the feathers into the dye and hold for a few seconds. 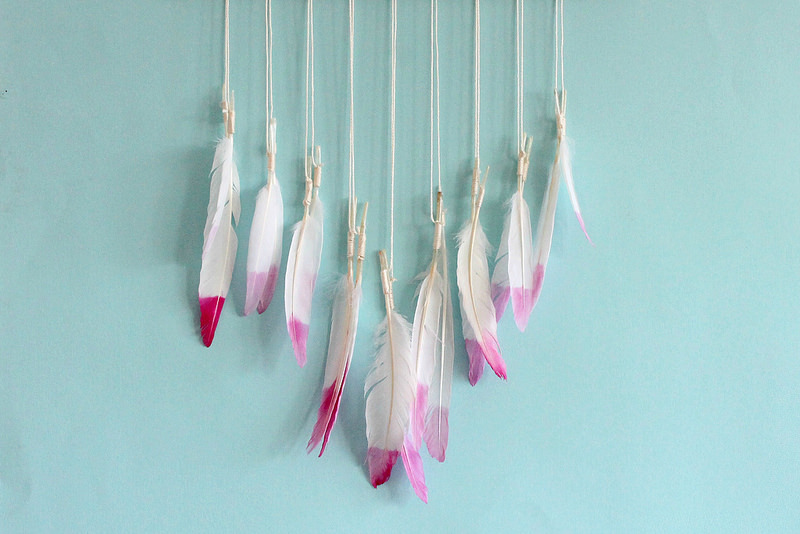 Lay the feathers to dry on some old newspaper or kitchen towel, to protect the surface underneath. 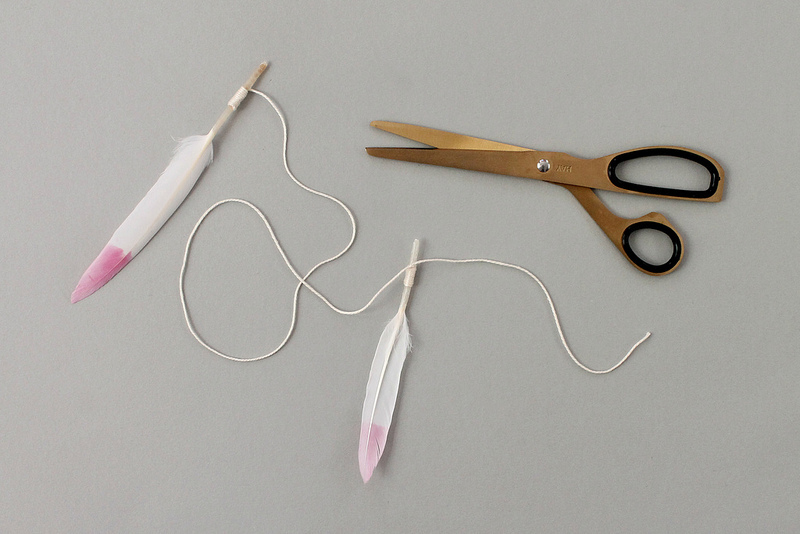 Once the feathers have dried, attach a small length of string by wrapping it around the ends of the feathers. 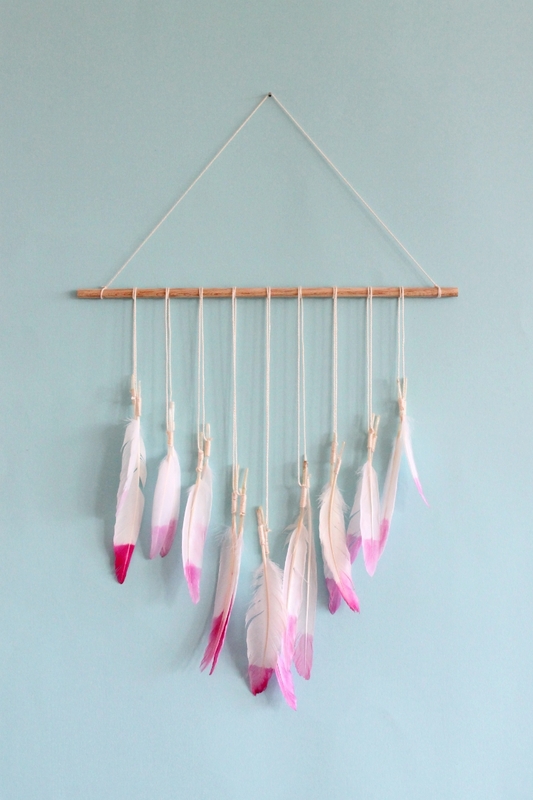 I tied a feather to each end of the string, and then wrapped it around the wooden dowling. This is so pretty! I've never seen something Like this.I think this is a bedroom must for me!